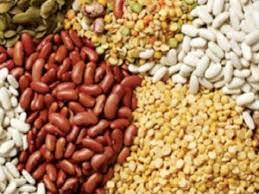 Legumes and whole grains are rich food sources of molybdenum. The typical American diet contains 50 to 500 micrograms of molybdenum per day. The food concentration of molybdenum is dependent on the soil content of molybdenum. Molybdenum is available as sodium molybdate and molybdenum amino acid chelate. Molybdenum deficiency may lead to the inability to process sulfites because the enzyme that detoxifies sulfites (sulfite oxidase) is molybdenum dependent. Symptoms of sulfite toxicity are an increased heart rate, shortness of breath, headache, disorientation, nausea, and vomiting. Molybdenum deficiency may be the cause of sulfite sensitivity. Molybdenum works as a necessary coenzyme in the enzymes xanthine oxidase, aldehyde oxidase, and sulfite oxidase. These enzymes are involved in uric acid formation, alcohol detoxification, and sulfite detoxification. Molybdenum is an important mineral for those that consume high quantities of alcohol.